We all admire neat lawns, mulched flowerbeds and well-trimmed shrubbery. While we can all appreciate the beauty of a well-kept property, not all home and business owners have the time, ability or interest to maintain a landscape. At Thompson Landscape, we have the experience and knowledge to get the job done for you - on time and on budget. We'll design an individualized plan to suit your specific needs. And our professional and courteous staff will get the job done using the kind of skilled attention to detail you would expect with such an important investment. Commitment, quality and service have served as the foundation for our 35+ years in the business. 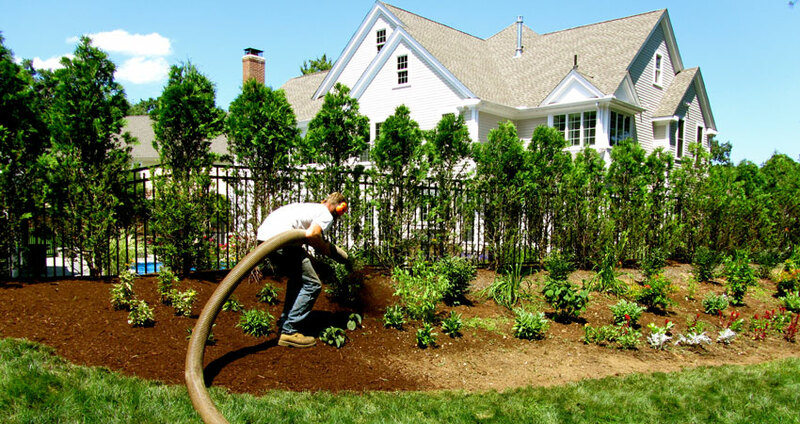 Our staff of experienced and knowledgeable landscapers excel in all phases of landscaping. Whether working on a major commercial project or a residential property, the Thompson Landscape team offers professional services with a personal touch. Attention to detail is matched only by attention to our clients, who happily refer us time and time again. We're a local industry leader in providing value-added landscape services to our customers by creating a successful partnership with them throughout the installation and maintenance processes. We aim to establish long lasting relationships with our customers by exceeding their expectations and gaining their trust through exceptional performance by each and every member of our team.